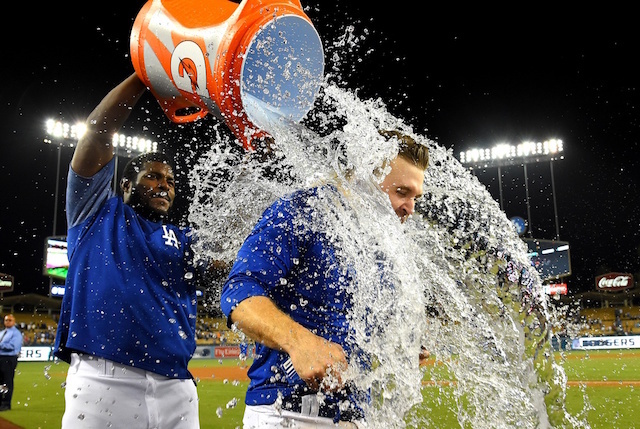 The Los Angeles Dodgers finally got back in the win column on Wednesday night, defeating the San Francisco Giants, 4-3, to snap a five-game losing streak. It did not come easy though as the bullpen faltered once again, so the Dodgers required 12 innings to earn the victory. Their offense also struggled a bit as well, going just 3-for-15 with runners in scoring position and leaving 17 on base. 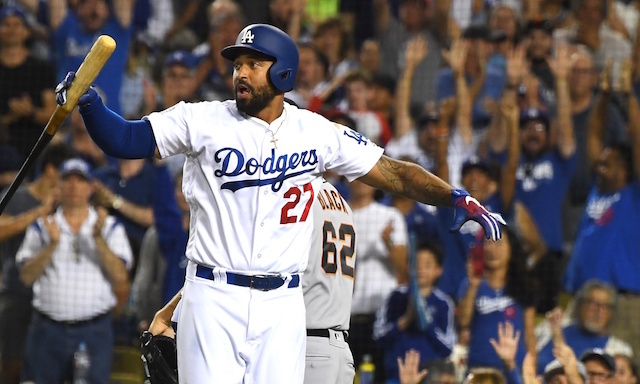 They were able to put three runs across in the sixth and seventh innings on a sacrifice fly by Joc Pederson, double by Manny Machado and single by Matt Kemp. It was in the eighth inning that the Dodgers bullpen blew the lead on a three-run home run by Andrew McCutchen off of rookie left-hander Caleb Ferguson, which ultimately forced the game to extra innings. During that time, the Dodgers received a stellar performance from Pedro Baez, who tossed two perfect innings and earned the win. The Dodgers finally pushed the winning run across in the bottom of the 12th on a sacrifice fly by Brian Dozier, scoring Yasmani Grandal, who doubled to begin the inning. While he did not earn a win, Hyun-Jin Ryu had a stellar performance for the Dodgers in his first start since May 2. Ryu tossed six shutout innings, allowing just three hits while striking out six to pick up right where he left off before landing on the disabled list with a groin injury.